College Park, MD, March 4, 2016—AAPT has announced that Stephen M. Pompea will receive the Robert A. Millikan Medal during the 2016 Summer Meeting in Sacramento, CA. This award recognizes educators who have made notable and intellectually creative contributions to the teaching of physics. "This award is a testament to the collective efforts of my many dedicated and creative colleagues, and to the outstanding teachers who influenced me," Pompea said. Dr. Pompea holds the rank of Observatory Scientist and leads the Department of Education and Public Outreach at the National Optical Astronomy Observatory headquartered in Tucson, Arizona. He got his B.A. in Physics, Space Physics, and Astronomy at Rice University, his M.A.T. in Physics at Colorado State University, and his Ph.D. in Astronomy at the University of Arizona. He started his teaching career in 1977 at Air Academy School District in Colorado, where he taught physics, astronomy, and earth science courses. He also was responsible for teaching gifted and talented science classes in summer programs in Nebraska during the time he worked in the aerospace industry. His professional work on astronomy instrumentation and optical properties of surfaces at Martin Marietta Aerospace, the University of Arizona, and at the Gemini 8-Meter Telescope Project greatly informed his teaching approach that emphasized problem solving and innovative teaching methods. He has consulted widely in on the development of science education centers, museum exhibits, and instructional and teacher professional development materials, working with notable institutions like the NASA Classroom of the Future and the University of California Berkeley’s Space Sciences Lab and Lawrence Hall of Science. This collaborative work led to award-winning educational projects such as Astronomy Village: Investigating the Universe (featured in AAPT workshops), Astronomy Village: Investigating the Solar System, and curricular books such as Invisible Universe: The Electromagnetic Spectrum from Radio Waves to Gamma Rays. Collaborations with OSA–The Optical Society and SPIE–the International Society for Optics and Photonics led to projects like the NSF-funded Hands-On Optics Project for middle school students, which Pompea directed. Dr. Pompea's colleagues have highlighted some of his efforts: "He has been a leader in physics education developing innovative research experiences for high school teachers such as the NSF-funded Teacher Leaders in Research Based Science Education. Lasting over a decade, this program engaged hundreds of teachers and their students in physics and astronomy research." He was later able to expand these research experiences for teachers and students to integrate teachers and students into research teams with the NASA Spitzer Space Telescope. In the undergraduate outreach and mentoring program he helped start at NOAO, over 35 undergraduate students have worked on research and outreach programs at the national observatory over the past 8 years, two of which have since completed the Ph.D.’s in astrophysics with many others now leading similar outreach efforts. As a Program Director for the NSF-funded International Year of Astronomy (IYA) 2009, he helped develop and implement many educational projects, including the Galileoscope project which produced over 200,000 telescope kits and had an impact on over 100 countries. His current projects include professional development for astronomical eco-tourism efforts in Chile and an NSF-sponsored project (Colors of Nature) that combines art, biology, and optical physics to engage girls in science. Through all of his efforts, "Steve has applied research in physics education and contributed to that literature base. Across all these contributions is a high level of creativity, professionalism, and quality." His contributions include papers on optics education, misconception research, teaching with museum exhibits, dark skies and lighting education, models for out-of-school science camps, and basic astronomy and optics research. He is an adjunct faculty member of the University of Arizona and has held previous adjunct positions at Colorado State University and the University of Arkansas. 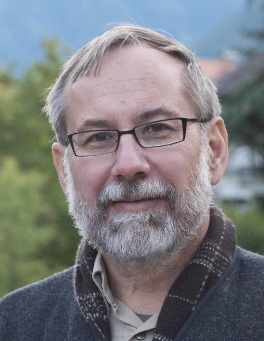 He is a Fellow of SPIE and OSA and was awarded the OSA Esther Hoffman Beller Medal in 2011 for outstanding contributions to optical science and engineering education, as well as two NASA Group Achievements Awards. The Robert A Millikan Medal recognizes those who have made notable and intellectually creative contributions to the teaching of physics. The recipient delivers an address at an AAPT Summer Meeting and receives a monetary award, the Millikan Medal, an Award Certificate, and travel expenses to the meeting.